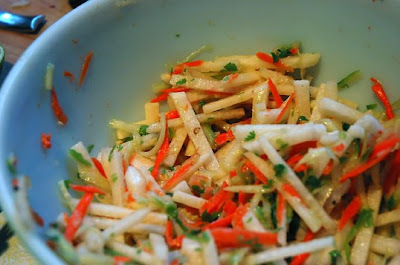 I made this delicious jicama slaw the other day as a side salad. It was so hot outside that I wanted something simple to prepare and something that would be refreshing and bright. This was definitely it! The jicama has a nice firm crunch that soaks up all of the honey lime vinaigrette making this a flavor profile that is unbelievable! Combine all ingredients for the slaw in a bowl. In a separate bowl prepare vinaigrette by combining all of the ingredients and whisking until emulsified. Pour over jicama, chill for an hour. Enjoy. 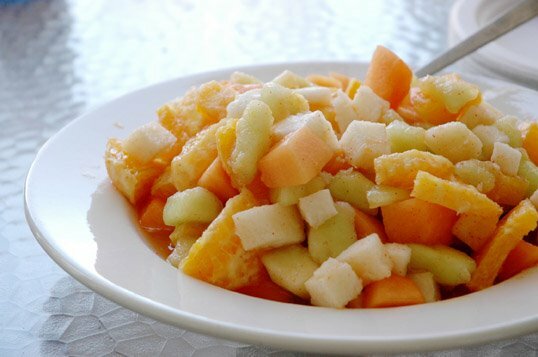 This Mexican version of a fruit salad is super refreshing to eat on a hot day! I know it seems weird to add salt, lime, and chili to fruit, but believe me, it totally works! Place all ingredients in a large bowl and mix until well combined. Check for seasonings…it should be savory and tart, so add more salt or lime juice if necessary. 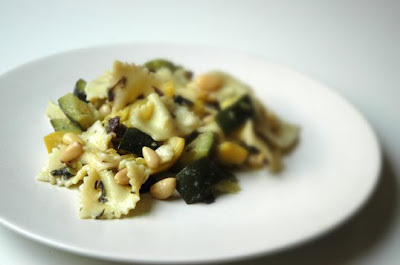 This is a delicious and refreshing salad that is full of robust flavors and variety of textures! It’s perfect with CARNE ASADA or a CHEESEBURGER! Combine first six ingredients in a bowl. 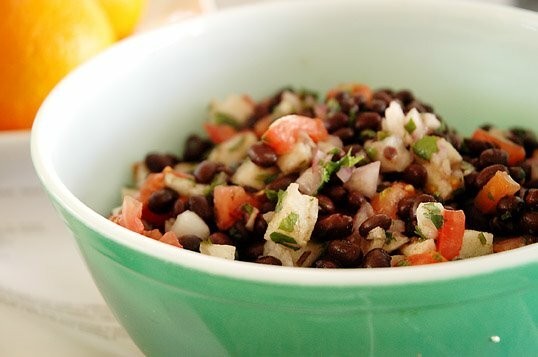 In a separate bowl whisk remaining ingredients and add dressing to bean salad. Taste for seasoning and add more if necessary. Cover and let stand at room temperature for one hour before serving.